When I was in high school in the late 90s (we still watched laserdisc videos in some classes, and everyone rushed home from school to sign in to AOL via dial-up modem), I remember seeing pictures of videophones in my French textbooks and feeling awed by the advanced technology. When I taught French in 2011 with that same textbook, video calling via WiFi was commonplace, and kids laughed at the antiquity of the videophone. Kids that grew up with front-facing smartphone cameras won’t remember what it was like to video chat before Skype, or Skype alternatives. Skype has long been the leader in voice and video conferencing, especially due to its brand and name recognition. Since their founding in 2003, they’ve expanded from voice and video calling to chat and conference calls. With all of these expansions, Skype has become a notification-heavy and distracting interface that often hides crucial information, so I looked into several Skype alternatives for business. 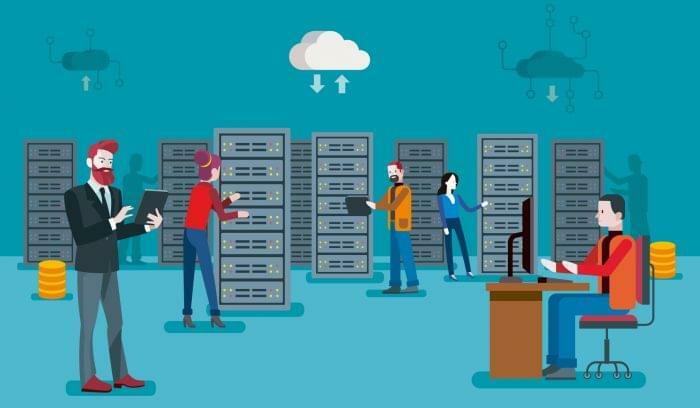 Now that you know what to look for, here are detailed breakdowns of 6 tools, divided into scalable conferencing and SMB options for Skype alternatives. These three web conferencing options scale to the enterprise level, but probably have too many features for a small business. Some self-publishing webinars and online courses may find these products useful, but they come at a higher price point. 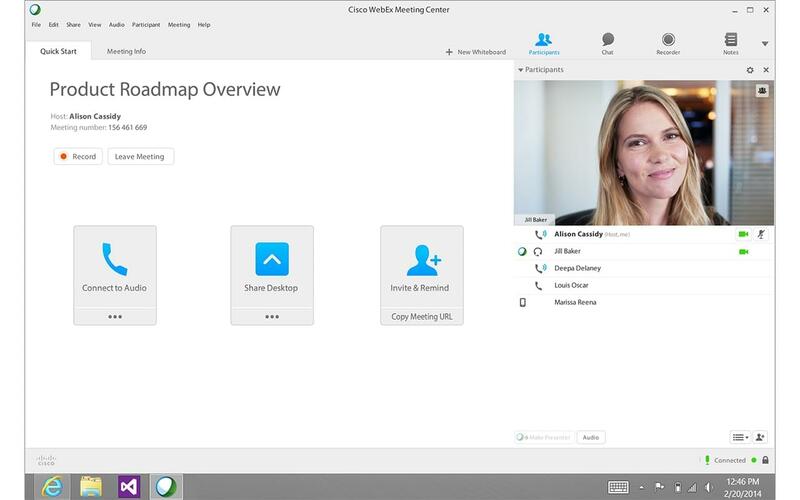 WebEx is Cisco’s web conferencing tool, and because Cisco made it, you can bet that they built it with enterprise scalability and security in mind. Choose from several pricing and scaled plans from a few conferencing folks to webinars and online trainings. The Event Center plan can handle up to 3,000 people with video, screenshare, slides, Q&A and chat features. Several options include white label features and video recording. Download the mobile app to access a meeting from anywhere in the world. You can also have the app call you when your meeting is about to happen. Make sure all of your attendees have downloaded the app, which is secure and firewall ready, to their mobile device or desktop before your meeting, as all calls require a local version of the software. WebEx provides support and tech advice for plans, even during an event, although it’s unclear how much you’ll pay for this support. Careful of other add-ons as well, including VoIP service and video storage after you’ve recorded your conference. Between these two GoTo products, you can schedule single or recurring meetings and record at a single click. 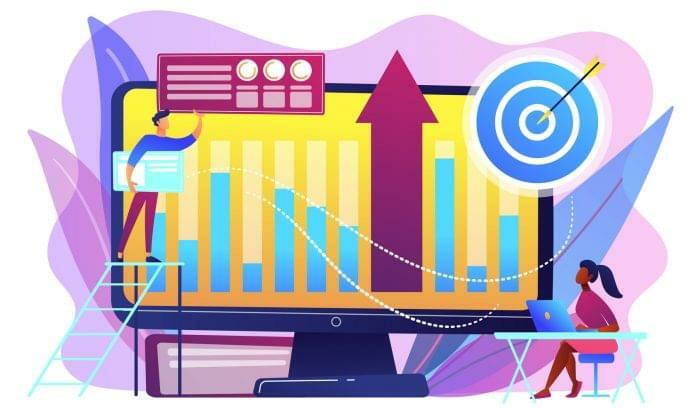 A good network of connected providers let you integrate the GoTo products into lots of other business tools. Users can dial-in on a phone or from the web, and toll free or VoIP options are available. You can show up to six feeds in a single meeting room. 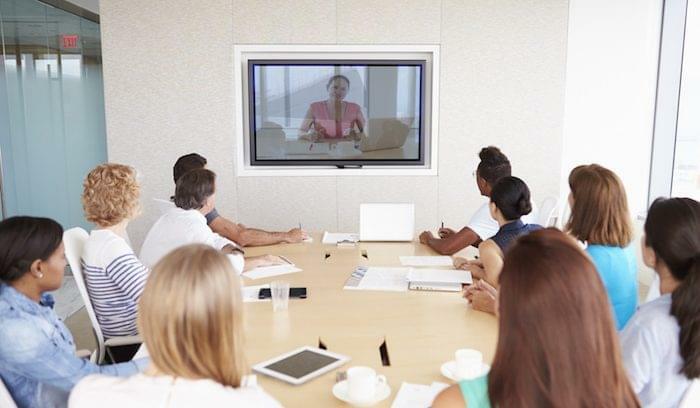 If your company is new to web conferencing, you can purchase a ready-made conferencing kit with keyboard, camera, Chromebox, and GoToMeeting subscription. Outside of the physical equipment, all features are included with each plan, and you can purchase optional toll free calling for distributed teams. Match your GoToMeeting with the GoToWebinar program to build out web classes and training programs with email automation, branding, polling and chat. GoToWebinar gives mobile access to webinar planning, and you can connect your lead management and CRM tools. They even provide a practice session mode, so you can practice before you present. For those of you who hate downloading apps, there is a beta browser version. Scalable meetings are great for enterprise use and for large distributed classes. Just be careful when planning your webinars and conference calls; some users have reported technical issues when organizers don’t join the meeting first. Zoom provides a simple interface and access to online meetings with up to 500 attendees. 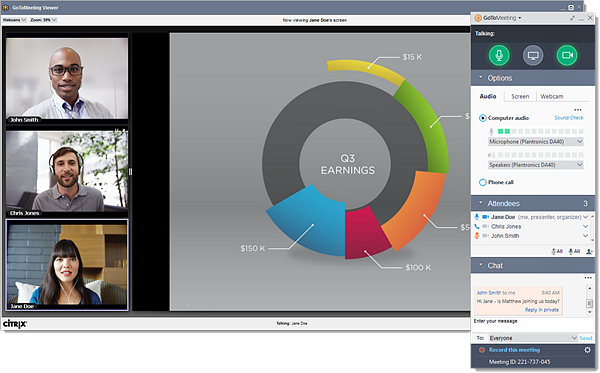 Built for conferences and trainings, zoom features video breakout rooms from the larger conferencing interface. Schedule meetings with most major calendar apps, and then join from the event directly from your calendar. Business chat is built-in with single or group messages and meetings. Sign up through monthly subscriptions and pre-pay options for phone, web and call-in services. You can also add on a global toll-free option where you can choose single or multiple countries. A Call Me feature connects you when the meeting starts. 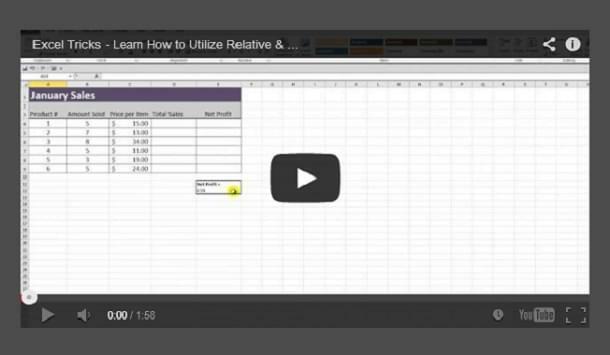 Webinars handle up to 50 presenters and up to 10,000 attendees. 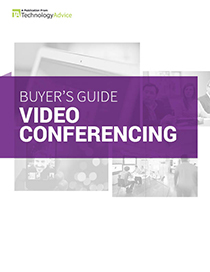 With connections to Youtube and Facebook Live, you can vastly increase the number of participants for your online conferencing. 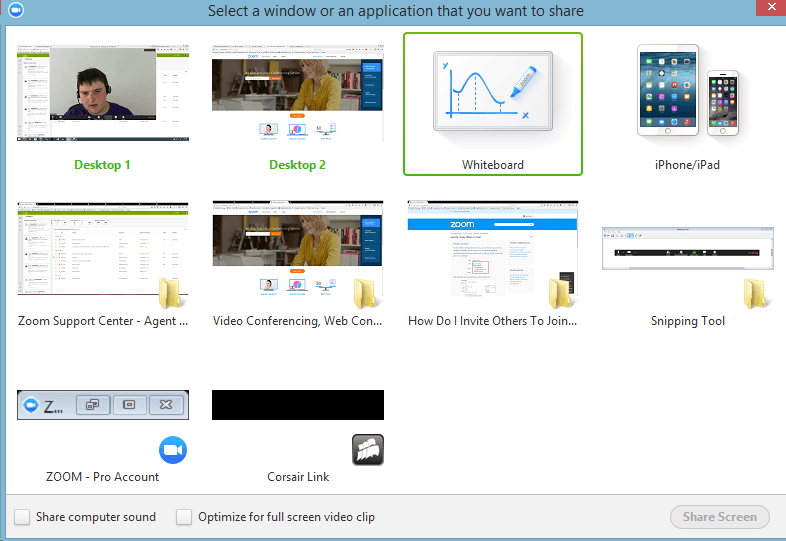 Zoom gives users the ability to screen or app share with a group and switch control of the mouse from one user to another. All meeting links automatically download the software to the user’s device if it’s not already there, but software (and all the updates) are required. All of these options have some restriction in the number of users that can access, but the price points drop significantly. If you only have a few users, one of these Skype alternatives should be more than sufficient. Join.me operates on a per-user business model, which works great for SMBs but can quickly balloon, especially with large businesses where some users have little to no need for web conferencing. Use the CSV upload feature to build your user list from your single-sign-on app, so everyone can log in with their own address. Build granular user access through the business admin console. Once you setup the user list, you can breathe easy. Pricing includes all features — screen sharing, video conferencing, and call-in. Join.me has lots of integrations with other apps including the Google suite, Outlook, Salesforce, and Office 365. They use 256-bit TLS for encryption, and you can increase security at the Pro and Business subscription levels through “invite-only” security. Onboarding and training support are included in your subscription, and customer service is open 24 hours on weekdays. According to reviews, Join.me is good for meetings, but not for webinars, as users can experience difficulties with downloading the protocol and accessing the program behind a firewall. Anyone who has a Google for Business account should be aware of Google Hangouts, which can hold up to 25 members for meetings. While there is a cap on how many users can enter the room, there is no limit on how long your meetings can go. Intelligent muting and automatic focus features help everyone keep track of the meetings, while mobile and desktop capabilities with screen sharing build the accessibility of the app. 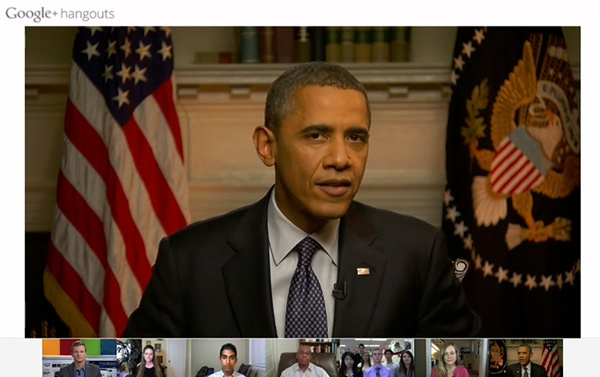 If you’d like to broadcast publicly, start up the Hangout On Air, which broadcasts and saves your meeting to YouTube. Non Google for Work users can join a Hangout directly from calendars or email links. Hangouts isn’t free for business use, but it does come with a low per-user pricing for both levels. Users have reported problems with connections and echoes in audio quality. The app can also cause problems connecting if you have more than one google email address (personal + business) that you use throughout the day, but it’s an easy fix once you understand which account you’re logged into. Google built Hangouts for Google apps like Gmail, so it’s pretty attractive for those who already subscribe to a Google for Work account. If your company is larger than 25 employees, you’ll want to look for another option, because not everyone will be able to connect. Appear.in built their conferencing program on a freemium model, like Skype, but it’s only available for eight users at the free level and 12 at the premium. It works on a link-based joining system, so you make the link and send it to participants. Guests don’t have to register, and no one has to download any software to join. Appear.in Premium is $12/mo and in beta. At this level, you get more users in your rooms, greater call stability, and screen sharing + presentation at the same time. You can also white-label your rooms in Premium. Appear.in integrates with Slack, Trello, HipChat, and Podio. Anonymous rooms are available to any users at the free level, but registered users gain a couple of perks upon signup. This is a free tool, but upgrading to premium may be helpful for small teams. Don’t limit yourself to one choice, once and for all. These aren’t the only Skype alternatives out there, and many of the offerings let you test things out with a free trial or freemium plan. Have questions? Call one of our unbiased TechnologyAdvisors for a free consultation. Learn more about the benefits of VoIP with our market-leading research.